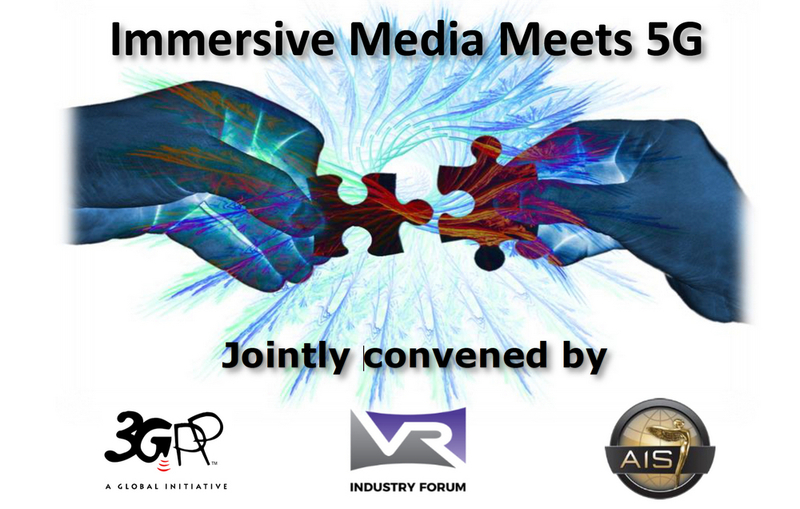 The 3rd Generation Partnership Project (3GPP) and the Virtual Reality Industry Forum (VRIF), in cooperation with the Advanced Imaging Society (AIS), announce the second Workshop on VR Ecosystems & Standards, themed “Immersive Media meets 5G”. 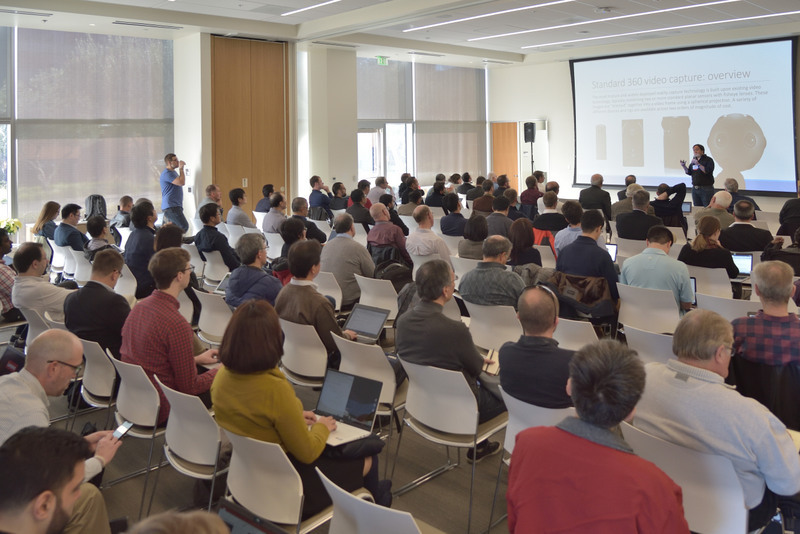 The workshop is open to all interested parties and will take place on 15-16 April 2019, at Sony Pictures, Culver City, CA, USA, immediately after NAB and 3GPP SA4#103. 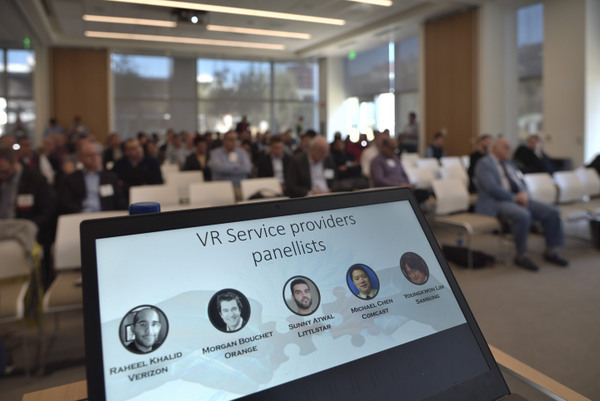 The second edition will focus on next-generation immersive formats and services, including Virtual, Augmented & Mixed Reality, and it will investigate 5G business opportunities brought by immersive services – as well as their requirements. See the list of confirmed expert speakers. Registration is now closed. We look forward to seeing you in Culver City! 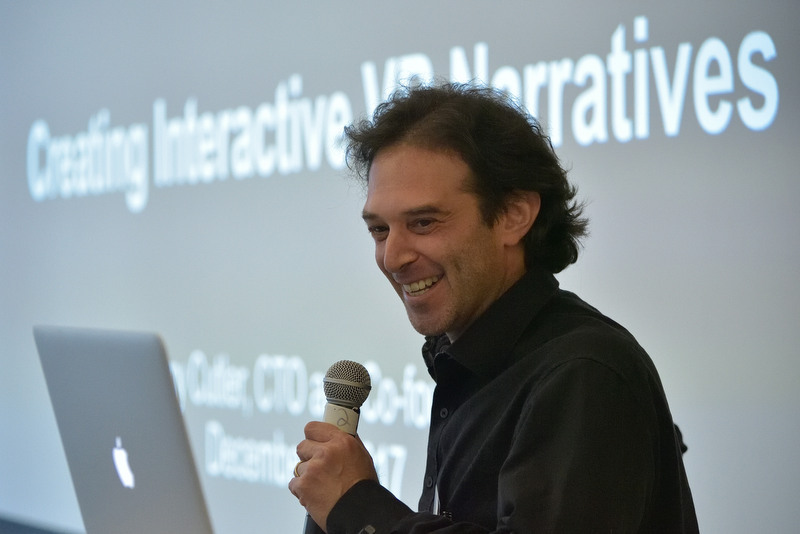 XR Content Production: Immersive formats, production systems and workflows. XR & 5G Hardware Ecosystems: immersive media device update, expected Quality of Experience, computation requirements and distribution, device and network connectivity requirements. XR & 5G Operators/Service Provider expectations: short/mid-term platform/network requirements for VR, AR, MR services ? 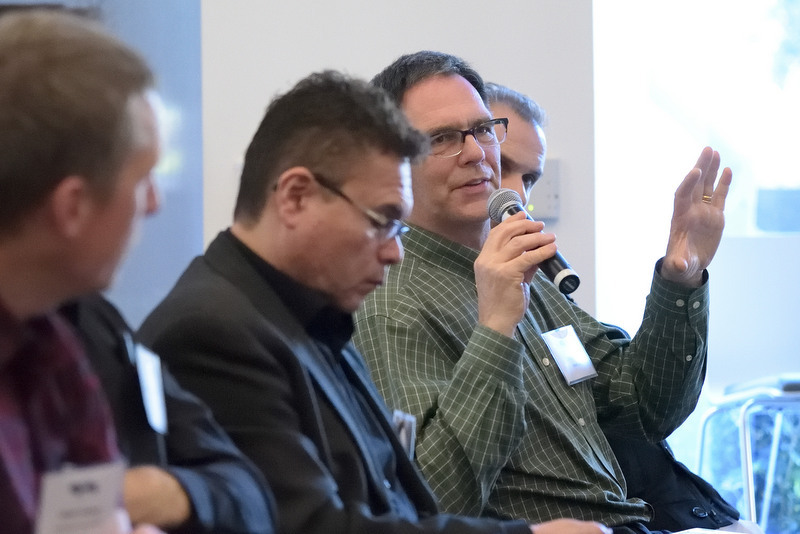 XR & 5G Standardization activities: a review of ongoing standardization activities from 3GPP, VR-IF, MPEG and other industry groups dealing with XR and/or 5G. 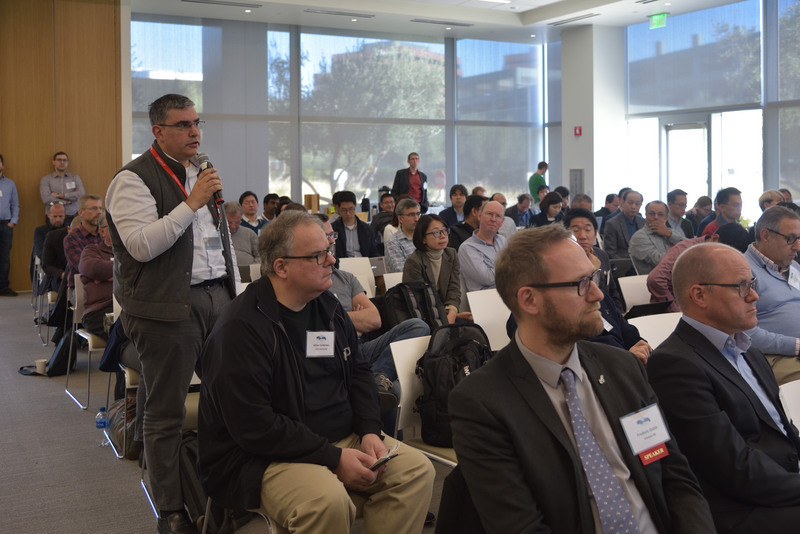 Each of these half-day session will contain presentations from major XR & 5G industry players and discussion with the speakers and the audience. There will be Keynote Presentations by Sony Pictures and the Advanced Imaging Society. 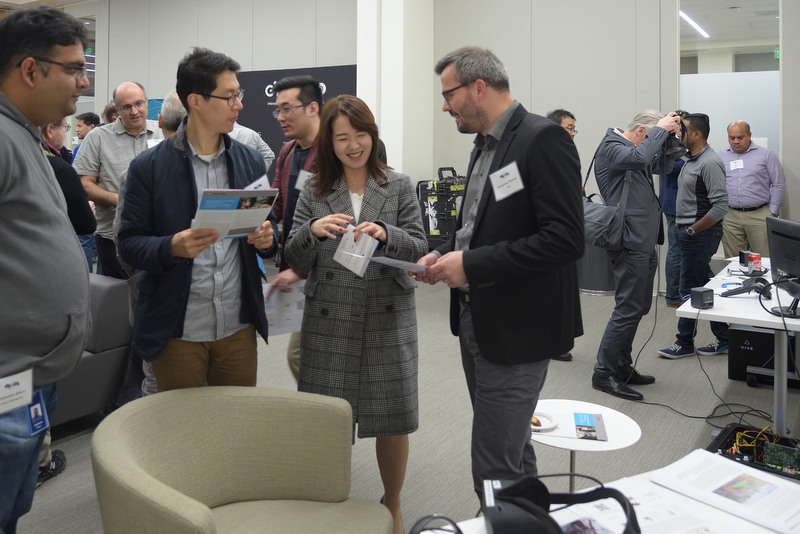 A demonstration area will feature key innovations in VR, AR, XR and 5G. 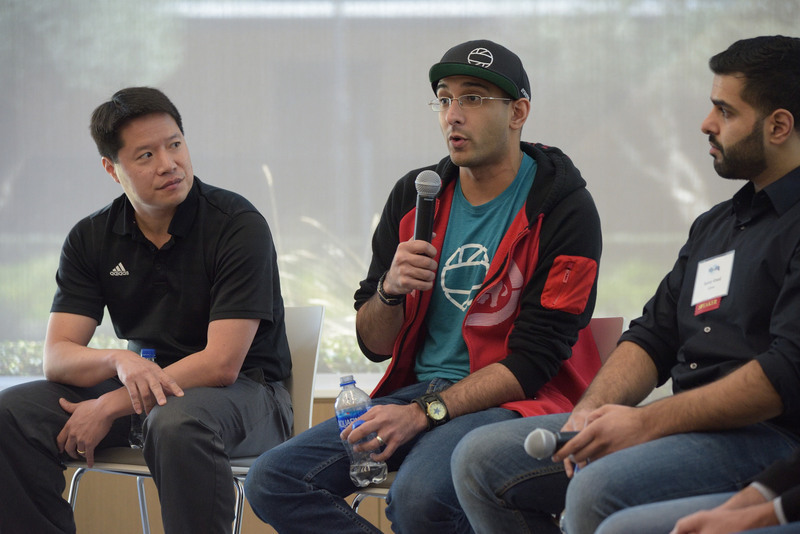 Providers of immersive content and services will understand how immersive media is enabled by 5G, what the most compelling features are that make 5G different from previous mobile standards – and what the timelines are. Those building technologies will better understand which requirements are essential for immersive services, and what may still be missing. Those working on standards and specs will understand where the most immediate needs are for well-defined interfaces. 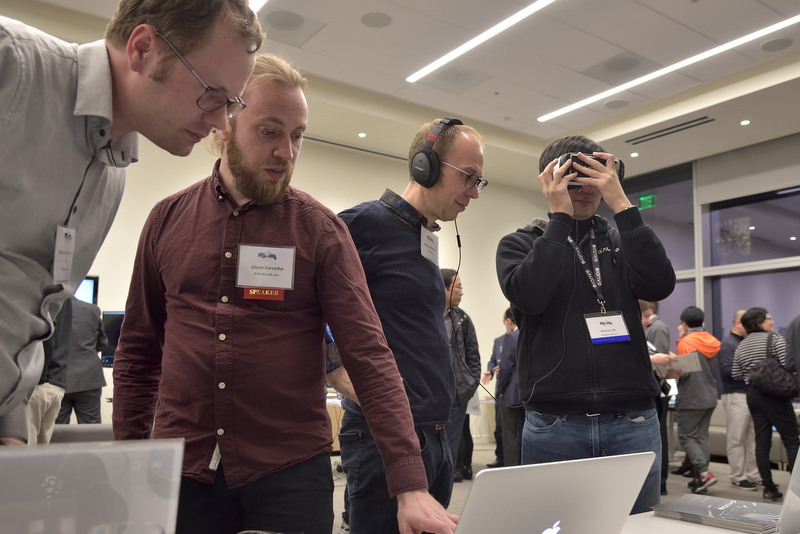 The Workshop on “Immersive Media Meets 5G” will start on Monday 15th April at 9:00 and close on Tuesday 16th April at 18:00. The location provides onsite parking. There are many hotels and restaurants nearby. Morning and afternoon coffee breaks and lunch will be provided on both days, and there will be a drinks reception on Monday evening. WLAN/Internet access will be available during the meeting. Registration for the workshop is mandatory, and space is limited. Admission is on a first-come, first-served basis. A registration fee of $199 covers facility fees, coffee breaks and lunch; this is an expert gathering that is not organized for a profit. 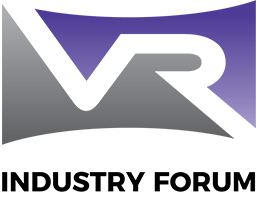 xNew and renewing VRIF members will receive one complimentary admission ticket included in their 2019 membership fee. NB: Registration is now closed. We invite demonstrations during the drinks reception on Monday evening from 18:00 – 20:00 hours, as well as during most breaks throughout the event. A $950 fee will be used to cover the cost of the facility and the reception; this includes two workshop attendee registrations. Please contact Mauricio Aracena (mauricio.aracena@ericsson.com) or one of the co-chairs for details. The hotels below are a short distance to Sony Pictures Entertainment. There are special rates or room block reservations for this meeting. There are many additional smaller hotels and motels within 10 minutes’ drive. Los Angeles International Airport (LAX), approx. 20 minutes’ drive from the venue. Burbank Airport (BUR) is another option, approx. 45 minutes away.